Our 2015 Global Recruiting Trends Report uncovered a lot of valuable data about what hiring managers and recruiters are doing to attract and hire the best people. We asked more than 4,000 recruiting leaders in 31 countries to identify their top priorities and compiled the results. The #1 priority for small and medium-sized businesses (organizations with 500 or less employees)? Out of a list of choices, it shouldn’t come as a surprise that recruiting and sourcing highly skilled talent nabbed the top spot, with 49% of the respondents, followed by improving quality of hire. 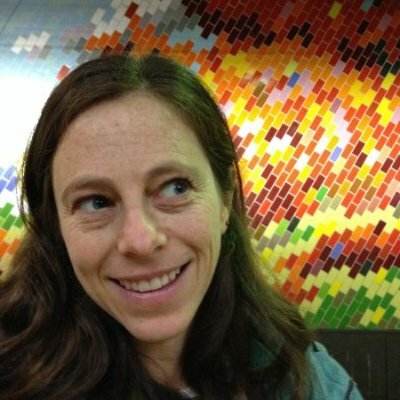 What may be a surprise is the go-getter attitude SMBs have when it comes to recruiting passive talent and building a strong brand to compete with the big guys. 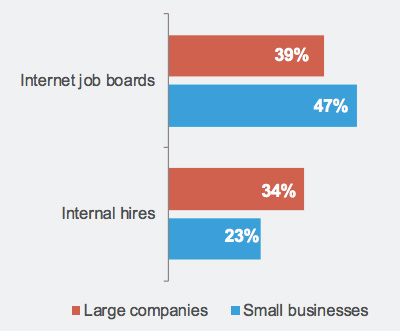 Small businesses told us that they rely more on internet job boards than hiring people from within their companies when looking to fill new open roles, which differs from bigger organizations. Small businesses are often dealing with limited time, fewer people dedicated to recruiting, and restricted budgets. They need ways to help talent find them — not the other way around — and easy processes for candidates to apply to their openings. Quality of hire is widely considered the holy grail of recruiting metrics because of how difficult it is to measure. 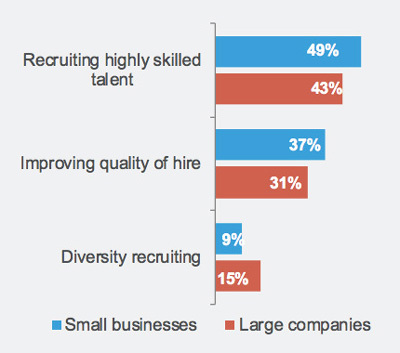 Because small companies don’t have the luxury of constantly hiring new employees if someone doesn’t work out, they’re more likely to prioritize improving quality of hire than larger businesses (37% versus 31%) and tend to focus on hiring manager satisfaction. Large companies, however, value time to fill significantly more than small businesses. It’s interesting to note that not only do small businesses focus on improving quality of hire, but they also prioritize different ways to measure it. Some of the metrics to determine quality of hire are new hire performance, cultural fit, and time to productivity. Companies of all sizes can recruit passive talent — candidates who aren’t necessarily looking for a job but are open to possibilities. In fact, there’s no significant difference between the extent to which small or large companies focus on passive talent recruitment. But, while about 75% of professionals consider themselves “passive,” only 61% of companies actually recruit these candidates. There’s a big opportunity to harness this pool of talent. Talent brand is what talent thinks, feels, and shares about your company as a place to work. Despite a small budget and team, small businesses are realizing that dedicating more effort to brand boosting is key to standing out. The main goal of a strong brand is to attract candidates, but small businesses understand that when they build out their brand, they’ll get more quality people applying for jobs, lower turnover rates of the talent they already have, and lower cost per hire. How do recruiters promote their talent brand? Small businesses are more likely to use online professional networks (such as LinkedIn), friends or family or word of mouth, and social media (with Facebook and Twitter being the big ones). Easy ways to boost a brand are writing a personal and powerful company summary, posting frequent company updates, or creating a company video that highlights what makes your company tick. For more information on 2015 trends for small and large businesses across the globe, get the full report. 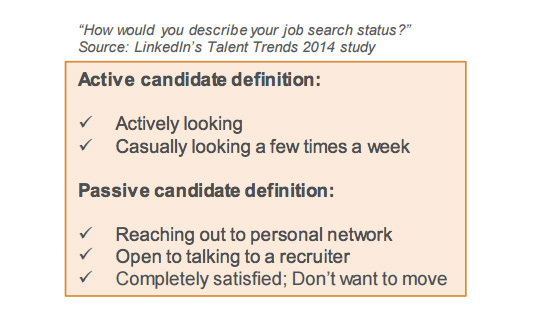 For practical advice on what to do with all of this valuable data, check out Lou Adler and LinkedIn’s webcast, Effective Recruiting Strategies That Attract Extraordinary Talent.